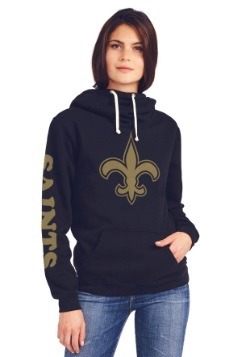 It's known to get a little warm come summer time in the Big Easy, so make sure you have plenty of gear to rep your Saints style all summer long. For us, the go-to is going to be this Junk Food Saints Time Out tank top for women! A stylish tank that is NFL officially licensed, this shirt is going to be the perfect look for a night out on Bourbon Street! This striped tank has a fashion cut with an apron rounded hem. 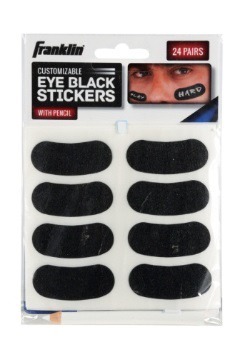 Featuring the classic fleur-de-lis franchise logo boldly printed on the front, nobody's going to be questioning your style taste or your choice in football teams! Rock this tank on a hot and sunny New Orleans day, or pair it with your favorite jacket and cutoffs for a night out on the town. 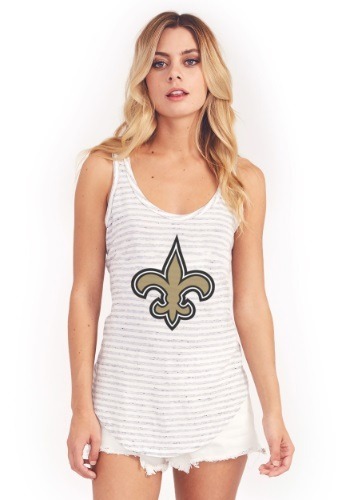 Tri-blend knit, this fashion tank is ready to go in any NFL fan's wardrobe! X-Small - $9.99 Only 3 left!